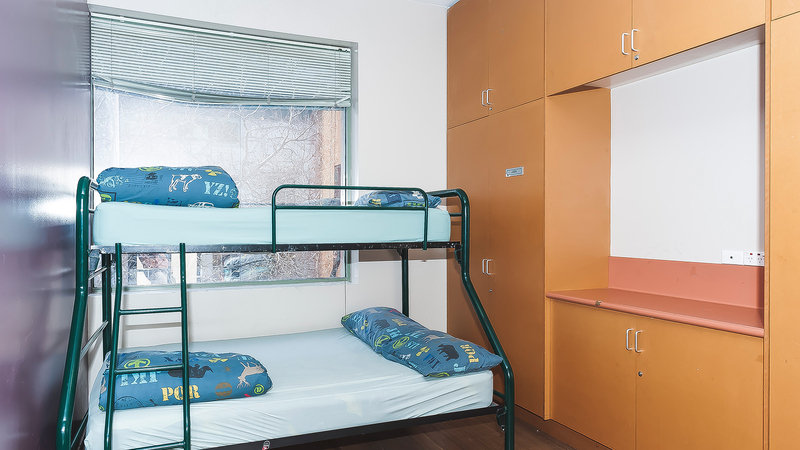 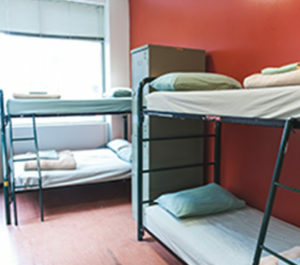 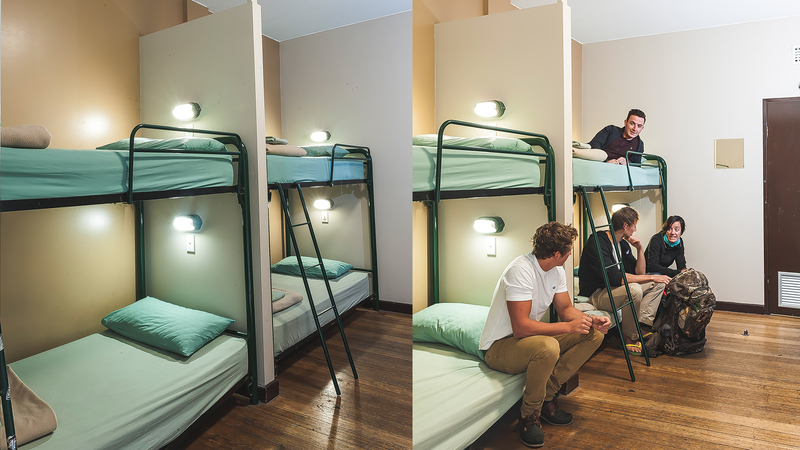 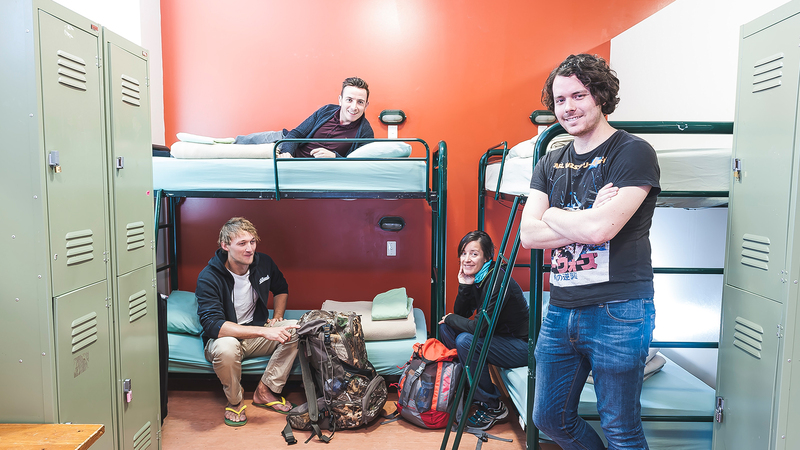 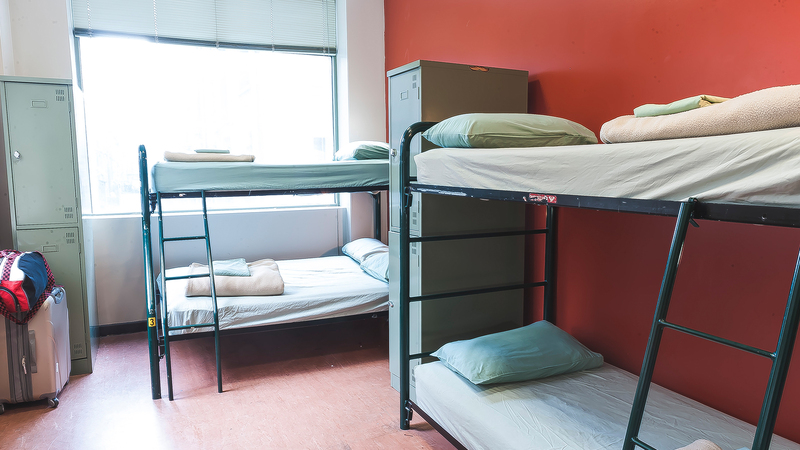 Our dorm rooms are available in 4, 6 and 16 share varieties, either mixed or female only. 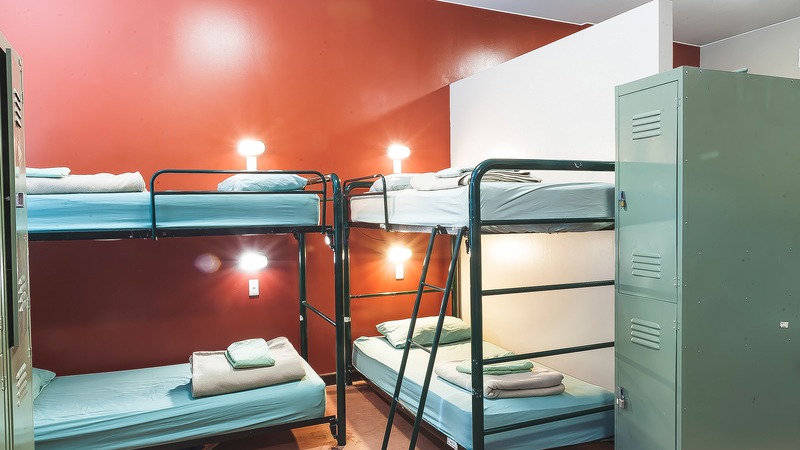 In the room you will find all linen and blankets provided with large lockers and reading lights for every guest in the room. There is central air conditioning so you are always comfortable! 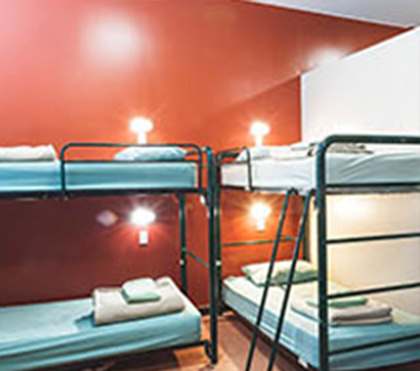 Our private rooms contain one double bed and one single bed and house 1, 2 or 3 people comfortably. 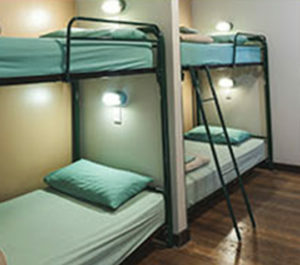 All linen, blankets and towels are provided and all rooms are air conditioned for your comfort.